This week class 7/8 started to journey into the world of Organic Chemistry. Waldorf science education begins with observation and experiments, this week our students performed an experiment that aligns quite nicely with both Waldorf science education as well as the next generation science standards. The "Carbon Tower" experiment is outlined in "The Wonders of Waldorf Chemistry" book by David Mitchell, and the same experiment connects with the Next Generation Science Standards, including "science and engineering practices", "disciplinary core ideas", and "cross-cutting concepts". Organic Chemistry is defined as the study of carbon-forming molecules, which includes all living organisms and so much more! The main focus this week has been on sugar. Sugar contains three different things - Carbon, Hydrogen, and Oxygen. For the "Carbon Tower" Experiment we filled a glass beaker with 40mL of sugar. Then, we saturated the sugar in the beaker with sulfuric acid. Upon stirring the two together, the mixture turned black and made a hissing sound. Seconds later, steam was release upward pushing and putting air pockets into the remaining carbon molecules from the sugar upward. What you now see in the beaker is pure elemental carbon. Rudolf Steiner, the founder of Waldorf Education, strove to educate the child from a base of experience and activity first (primary experience), followed later by a conceptualization (reflective experience). 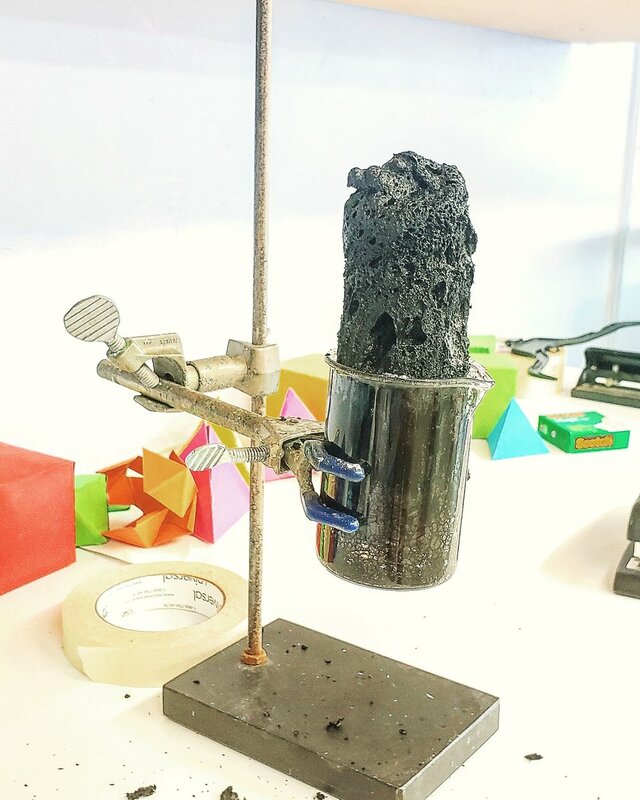 When students take part in an experiment such as the carbon tower, they are in the first stages of learning organic chemistry that will later be followed up by conceptualization. 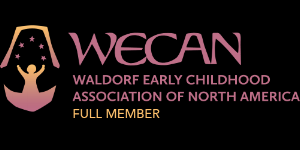 Interested in learning more about Waldorf Education and our school?